VILNIUS, Lithuania — When we decided to visit the Baltic States of Estonia, Latvia and Lithuania on this trip, we felt obliged to learn a bit about these three nations which are little known in the United States. Located along the east coast of the Baltic Sea, the land area of these three small nations combined is smaller than the state of Missouri. But they occupy a geographic position long coveted by great powers as a gateway between the East and West. The roots of the Estonian, Latvian and Lithuanian peoples run deep on the coast of this inland sea. Their capital cities date back to the early part of the second millennium. Tallinn, Estonia, was founded in 1154; Riga, Latvia, in 1201; and Vilnius, Lithuania, in 1323. During the 16th and early 17th century, Lithuania formed a joint kingdom with Poland which at one time was the largest and most populous country of Europe. But fates changed and the three small states were dominated at various times by Denmark, Sweden, Poland, and Germany. By the early 1700s, all three had been absorbed into the Russian Empire. Though centuries passed and the czarist government instituted policies intended to Russify the populace within its empire, these people never forgot their ethnic roots and their noble history. Finally the collapse of the Russian and German Empires after World War I allowed the Baltic peoples to establish independent states. In 1918, the republics of Estonia, Latvia, and Lithuania were instituted with joyous celebrations. Unfortunately, their independence lasted only until Germany and Russia—now the dominant player in the Soviet Union—resurrected and revitalized their armies. On August 23, 1939, representatives of Nazi Germany and the Soviet Union met secretly and negotiated the Molotov-Ribbentrop Pact, a brazen 'neutrality' treaty which divided up eastern Europe into spheres of influence for each of the two powerful nations. 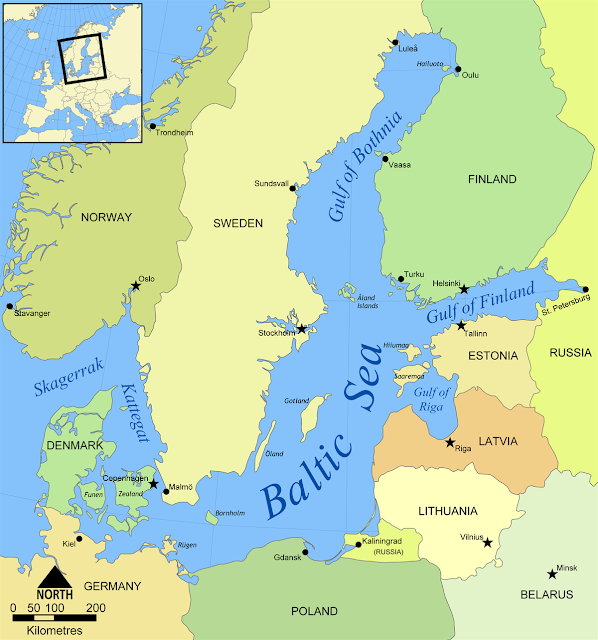 The tiny Baltic nations with their fledgling independence were claimed by the Soviets in the agreement, along with Finland and Romania. In less than a year, June, 1940, Soviet forces invaded the Baltic states and annexed them to the Soviet Union. People working in the independent governments of these countries and other citizens the Soviets found suspect—teachers, doctors, police—were deported and killed: 34,250 Latvians; 75,000 Lithuanians; and 60,000 Estonians. And this was only the beginning. 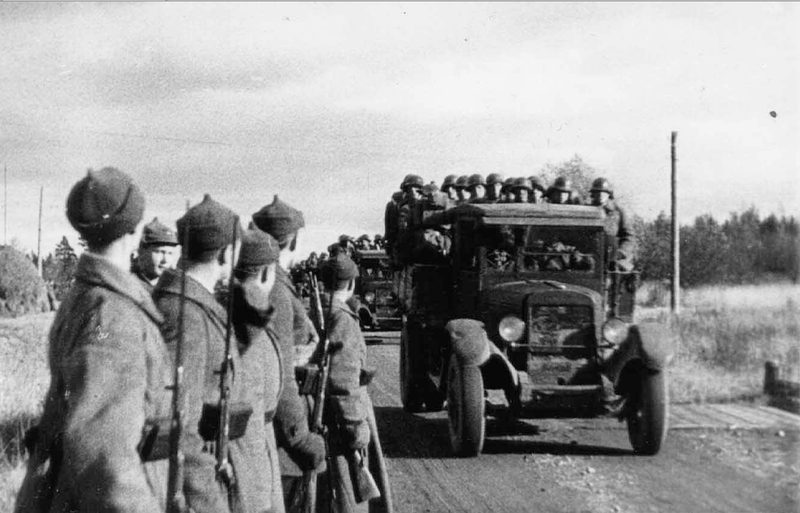 When relations between Germany and the Soviet Union soured, Germany invaded and occupied the Baltic States in 1941. Initially the locals looked to the Germans as liberating them from the oppressive Soviet regime and even hoped to regain their independence. Germany, of course, had other plans, immediately instituting harsh policies demanding war provisions, shipping Estonian, Latvian, and Lithuanian citizens to Germany as forced laborers, and brutally killing hundreds of thousands as they perpetrated genocide against Jews and other peoples of the Baltics. In the summer of 1944 as German forces were massed to the west in an effort to resist the invading Allies, the Soviet Union grasped the opportunity to reclaim the Baltic states. For the next 45 years, the USSR carried out a brutal campaign to "sovietize" the Baltic peoples and weaken their national identities. Hundreds of thousands were deported to Siberia and other harsh areas of the Soviet Union for forced labor or execution. Those who remained were subjected to repressive laws and inhumane conditions. 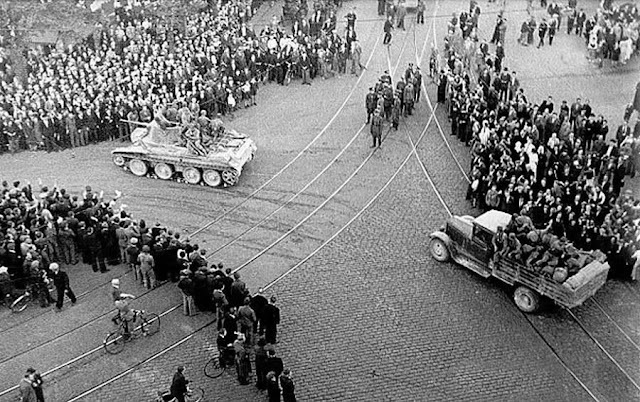 But Soviet efforts to Russify the people failed, and Estonians, Latvians, and Lithuanians continued to yearn for freedom and independence. Their spirit of liberty could not be broken. By the 1980s, social and political tensions between the Baltics and Moscow began to peak, as the Baltic peoples became emboldened by the decline of the Soviet system. Mikhail Gorbochev's liberalizing policies of glasnost and perestroika released long-suppressed nationalist desires among the Baltic peoples. 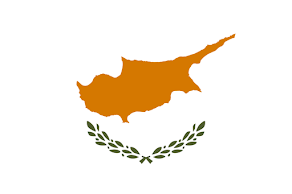 Independence movements in each republic grew individually but gained strength from one another. Finally on August 23, 1989—the 50th anniversary of the despised Molotov-Ribbentrop Pact that "assigned" them to the Soviet Union's sphere of influence—the people of the three republics launched a dramatic statement of their desire and intention to be free and independent nations. At a designated time, along a predetermined route, more than two million Estonians, Latvians, and Lithuanians, longing to be free of Soviet oppression, joined hands in what became known as the Baltic Way (or the Baltic Chain of Freedom). The human chain extended from Estonia's capital of Tallinn south through Latvia and its capital Riga, continuing more than 420 miles to the Lithuanian capital of Vilnius. This remarkable event gained the attention of the world and was followed by more peaceful demonstrations in all three republics. Finally, with inadvertent assistance from Gorbachev's reforms, all three had elected popular front legislatures which voted to declare each nation's independence by 1990. 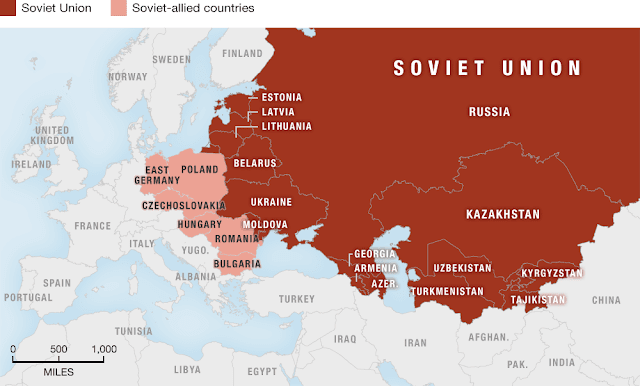 Though the Soviets launched one last ditch military effort to suppress the freedom movements, their efforts failed. Dozens of local citizens were killed, but non-violent resistance did not falter and, on the verge of collapse, the Soviet Union withdrew its troops and conceded the inevitable. By 1991, all three Baltic states were once again free and independent nations. What they have achieved in the intervening 26 years is nothing short of remarkable. All three are full members of the United Nations, the European Union and NATO. Estonians, Latvians and Lithuanians live in strong free market societies ruled by democratic governments. 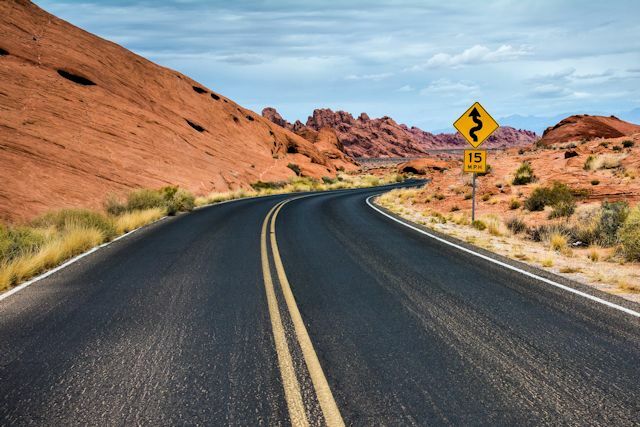 Each country has rapidly grown and diversified its economy. From backwards infrastructures where fewer than half of their citizens had land phone lines and no connection to the outside world in 1991, the Baltic states have become leaders in technological innovation and development. Some of the world's fastest internet speeds are in the Baltics, and only the remotest places have no service. These proud peoples are determined to maintain their hard-won independence. Having been repeatedly invaded and occupied by Russian forces, it's no small wonder that they keep a wary eye on their eastern front. We were glad to learn that U.S. Vice-President Pence is visiting with Baltic leaders next week to pledge continued American support for their defenses. They have clearly proven that they deserve to determine their own course. Wishing we had a little more time to explore their medieval cities and modern marvels, we'll make the most of our days in the Baltics until we leave for Finland on August 8.